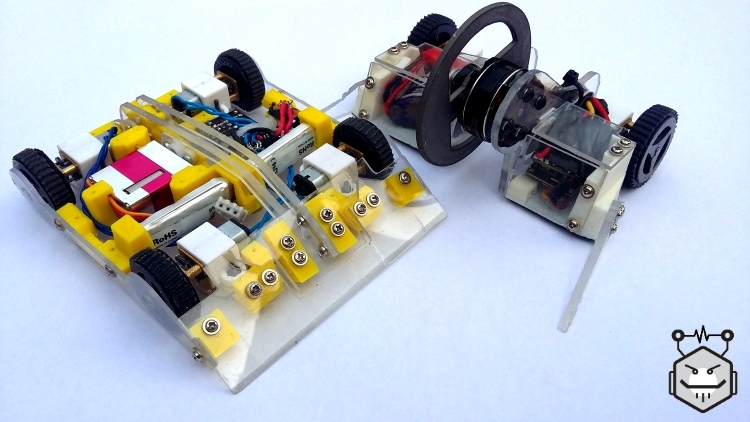 Nuts And Bots – Fighting Robot Kits And Parts, Ready Built Robots. Welcome to Nuts And Bots! Nuts And Bots is run by experienced roboteer Alex Shakespeare of Team Shakey and Team Nuts. Team Shakey started competing in 2010 and is now bringing that experience into a range of components and ready built robots to the class to help both new and veteran builders alike. With experience in each weight class from tiny Nanoweights to competing as part of Team Nuts on BBCs Robot Wars, Nuts And Bots aims to provide components that help people get into the hobby and to help build the best robot they can. Nuts And Bots is proud to offer a selection of ‘Ready Built Robots‘ to help get you started in the antweight class and the hobby as a whole. Made with a strong 3d printed chassis with polycarbonate armour, high quality components and careful effective designs they are capable of holding their own in the arena. Our range of components offers a range of solutions to fit your needs, from drive motors to our famed ‘ToughHubs’, Nuts And Bots is able to help. Nuts And Bots is also able to be commissioned for projects simply contact us with your idea. Though please be aware our workload may not always allow for commissions to be accepted.